After the move, the handover is the next big step. One just wishes that everything goes smoothly with the handover of the key. However, the landlord looks at the smallest details – Tenants often don’t even see those. Depending on the size of the apartment, the final cleaning takes over 20 working hours, not counting reparations. Because of that, it’s often worth hiring a professional cleaning company that guarantees the handover. But how do you find a good but cost-effective cleaning company? Since the start in 2014, MOVU managed to revolutionize the moving market and also final cleanings. With MOVU, the market has been digitalized and through a few measures we can guarantee cheap but good final cleanings, including the handover guarantee. Easy service: Time is valuable. Because of that, our tested and proven questionnaire is enough so that cleaning companies can offer quotes. Thanks to the 35’000 processed customer inquiries we can guarantee the accuracy of the offers. Cost-effective: Our partner companies only offer fixed prices and you can compare them after only one workday. That way you can compare market prices easily. Secure: Our partner companies are all insured and guarantee a successful handover. That way you don’t need to worry about the apartment handover. Cantons, cities and even villages differ and the “spirit of the canton” is quite distinct in many places. We also support local cleaning companies and already work with over 80 moving- and cleaning companies. Although we’re not in every city yet, it is our vision, that everyone can find their perfect company with just a few clicks. WHY SHOULD I START AN INQUIRY? Our service is free and non-binding. 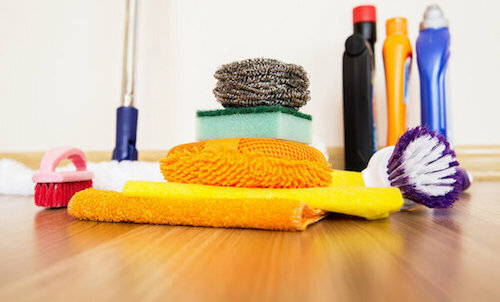 If you start an inquiry and fill in the questionnaire, you will receive 5 offers from cleaning companies. You can compare the prices online and book the suitable company with one click. Handover protocol – Are there any damages? In that case it’s important that they are noted down properly. If you disagree, note that down too. Once the protocol is signed, it’s hard to make changes. Rent deposit – If the rent and additional costs are covered and there are no more damages to take care of, it should be possible to get the rent deposit back within 30 days. Redirection order – It’s possible to set up a redirection order at short notice. Our tip: Use the online-service. That way you save time and on top of that it’s cheaper. Start an inquiry and get 5 offers within 24 hours from certified cleaning companies. Benefit from the fixed price guarantee and the handover guarantee.